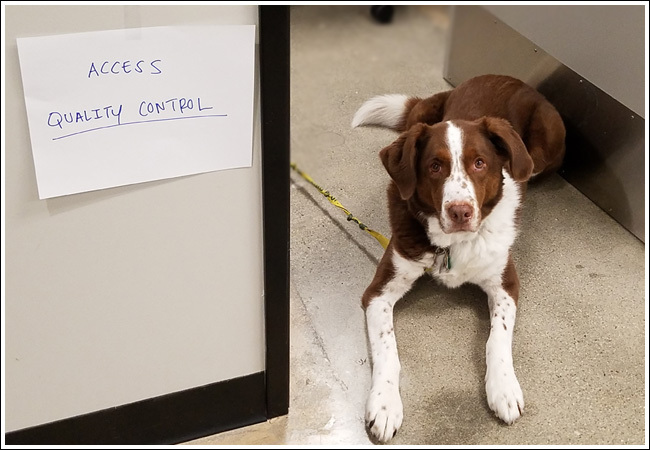 Here’s a cute story with a happy ending from Dr. Danielle Sawyer at ACCESS Specialty Animal Hospital–South Bay. 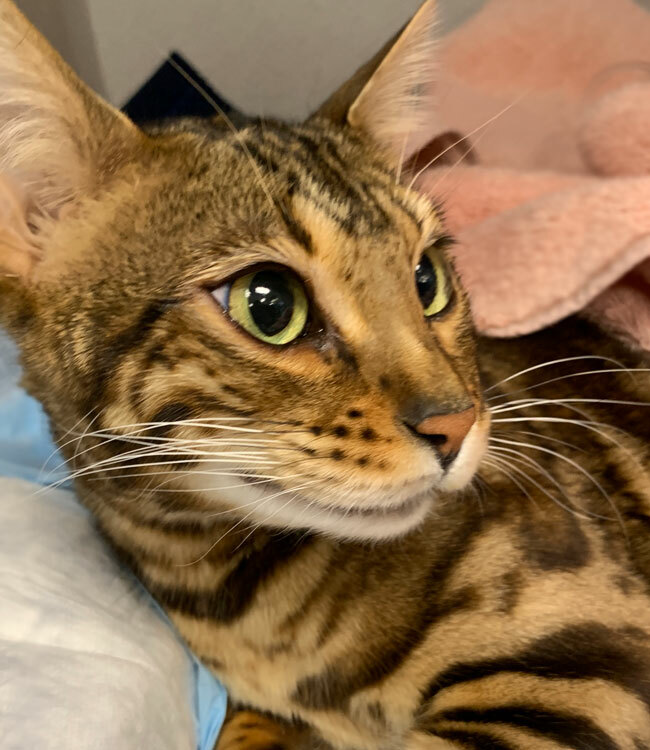 Mr. Pickles is a high energy, playful, and very handsome one-year-old Bengal cat who presented to ACCESS Specialty Animal Hospital—South Bay after 36 hours of profuse vomiting. Presenting somewhat dehydrated with abdominal pain, our emergency and critical care department got to work determining the problem. 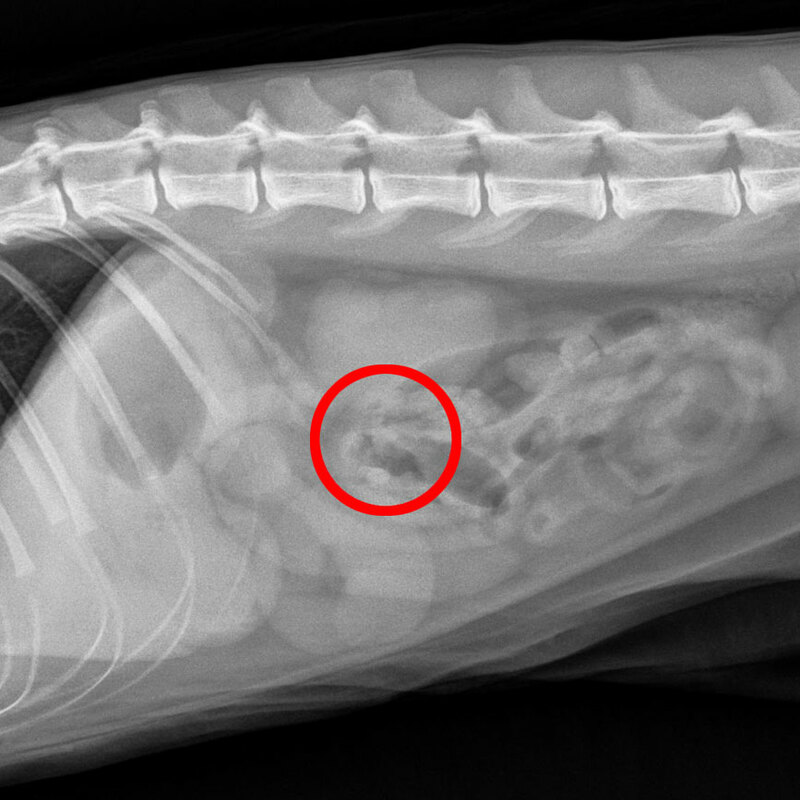 Abdominal x-rays revealed extremely distended loops of bowel with fluid and gas, which pointed to obstruction. The ER team worked closely with the internal medicine department to perform an ultrasound and diagnose a definite obstruction in the mid-intestines. 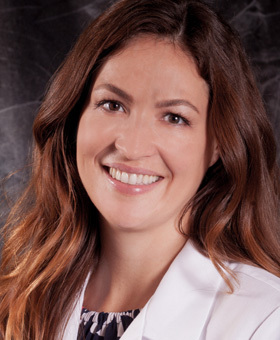 Board-certified surgeon, Dr. Tammy DaCosta Gomez, was called in and more than happy to come in on her day off to remove the item causing the obstruction. To her surprise, she found a toy dinosaur! Mr. Pickles did beautifully in the hospital and was able to return home the following day. Luckily for Mr. Pickles, our teamwork saved his life, and he will live another day to play with his toys, but no more tiny dinosaurs! 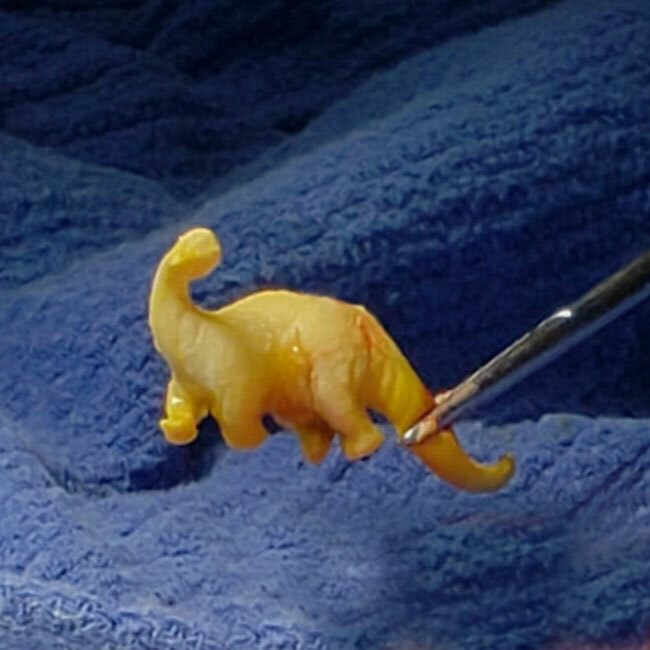 Instead, we recommend watching Little Foot on TV rather than eating him! We Did the Wii Dance Challenge! Our three hospitals went head-to-head in creating their own Wii Dance Challenge videos! Who do you think did the best? Go to our YouTube Channel to ‘like’ and comment on the video so we can see your votes! Bleeding: Even minor cuts, bleeding masses, or bite wounds have the potential of getting infected. Seizures: These may present as full body convulsions, or even just a “fly-biting” facial twitch. Although the brain is commonly the culprit for this, there are other disease processes that could cause this type of behavior. Lameness: A limping/lame pet is a painful pet. It is always warranted to have a veterinarian evaluate if this sign is noted. By catching the signs early and getting your pet evaluated as soon as possible, you are being the best advocate for your pet that you can be! Although we’re showcasing these five signs, please also keep in mind that there are many other signs that may indicate need for a veterinarian’s evaluation. Pets that have hives, possible toxin ingestion, cats or dogs that are straining to urinate, or any animal who is severely lethargic or not eating may also be in danger. 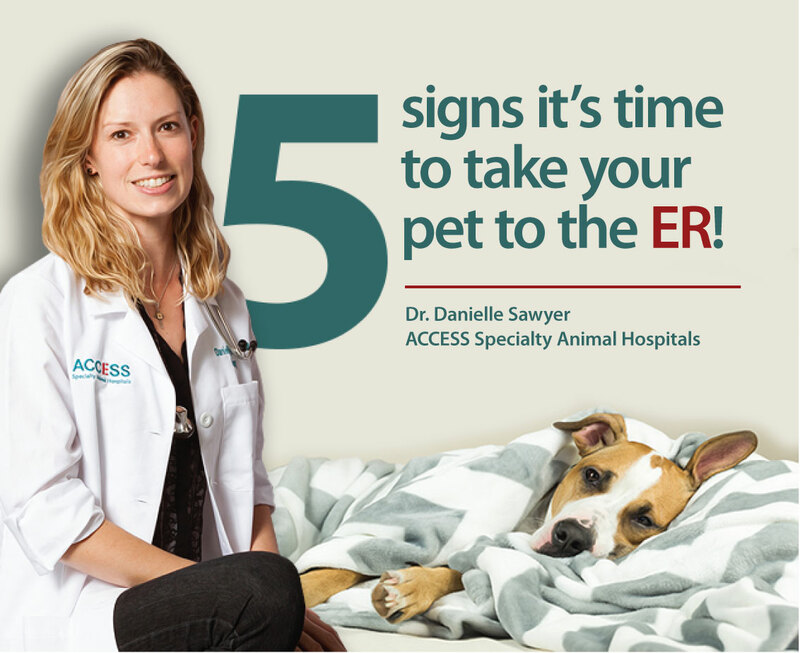 If you are considering whether or not to bring your pet to the emergency room, it is always best to just take him or her and know that you are doing all you can to “speak” for your pet. Your new little family member is going to require a lot – food, licensing, routine vaccinations and exams, a spay/neuter, emergency room visits, and in some cases they may need specialty care or even lifelong medication. If you’re thinking about getting a dog, cat, or exotic pet, make sure you have a little bit of savings to care for them. There are many, many different species of animals and they all have a different life expectancy. It’s preferred to give your pet a great forever home, so if you’re not ready to care for a Macaw for 50 years, consider a dog. If you think you won’t be able to live with a Golden for 12 years, consider a hamster! Do you know what you’re actually supposed to feed your bunny, dog, pig, duck, or rat? Make sure you know what your pet needs to stay healthy. That means speaking with veterinarians—don’t just trust what you’ve read online! Are you ready to pet-proof your home? Things that we consider safe can sometimes be fatal to our pets! Make sure you research common toxins for your pet and speak with a veterinary professional if you have any questions. Just because your Aunt told you her dog ate chocolate and was fine does not mean that chocolate isn’t a toxin—don’t accept anecdotal evidence! Not many people know that animals can get sick and they don’t always show it right away. Brush up on the ways your pet can show that they’re in pain as well as other abnormal symptoms. Illness can range from vomiting and diarrhea to asthma and heart failure to kidney failure, and certain species or breeds are predisposed to some serious conditions. Always call your primary veterinarian if you’re concerned about your pet. Always remember, adopt don’t shop! During a recent trip to Costa Rica, I had the amazing opportunity to visit the Jaguar Rescue Center and donate much needed medical supplies on behalf of ACCESS Specialty Animal Hospital — South Bay. 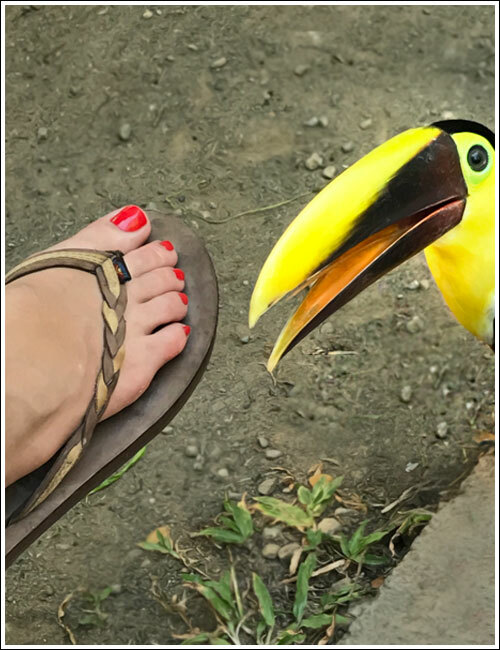 The Jaguar Rescue Center (JRC) is a temporary or permanent home for ill, injured and orphaned animals in southern Costa Rica, just outside of Puerto Viejo. 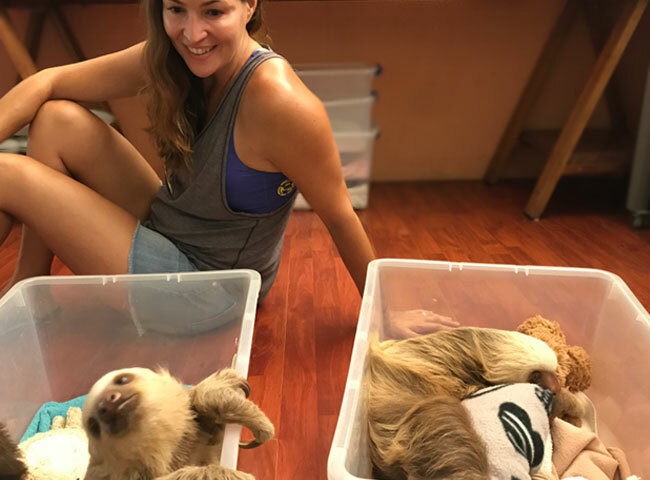 With a focus on birds, reptiles, amphibians and small primates, the JRC provides veterinary services, round-the-clock care and comfort to animals that would otherwise be unable to survive in the rainforest or the sea of the Caribbean. The JRC has a full-service hospital where injured or ill animals receive medications, special diets, physical therapy, and even surgery! The primary goal of the JRC is rehabilitation and return to the wild. In this, the JRC has an amazing track record. The La Ceiba Primary Forest serves as a release point for animals which will be returned to the wild. Even animals who cannot be released due to injury can be taken on “day excursions” into the primary forest. An amazing example I witnessed was an anteater who had suffered brain damage after being struck by a vehicle. He would not survive alone in the wild. He does, however, get the opportunity daily to experience the wild of the primary forest with a chaperone. The JRC finds space and rehabilitates any and all animals native to the area, even full grown crocodiles! One of the more recognizable animals in Costa Rica is the sloth. 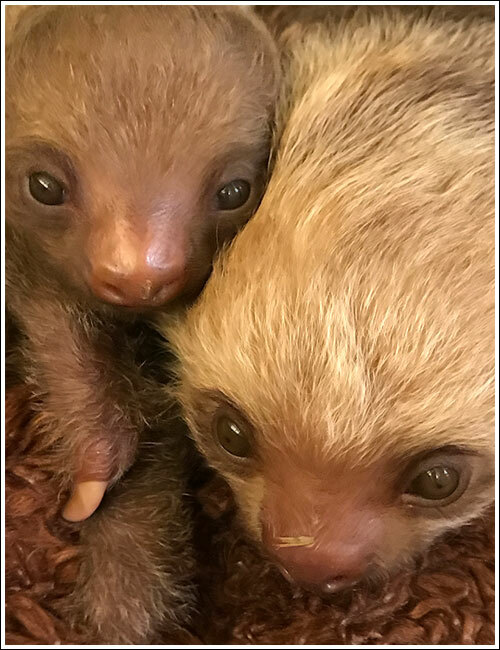 Many sloth babies are orphaned when the mother is electrocuted grabbing an electrical wire rather than a tree or vine. The rehabilitation of an orphan is an extensive process. If a sloth cannot be returned to the wild, they can live up to 40 years, a big commitment! The permanent residents are given proper food, exercise, and access to the beach or jungle to maintain the best quality of life. Meet Duckie! She is sporting a fashionable vest that holds a Holter monitor. Holter monitors are used to diagnose arrhythmias by continuously recording an animal’s heart rate and rhythm over a period of 24 hours. Pets with intermittent episodes of weakness or collapse may have a Holter monitor placed by the ACCESS Specialty Animal Hospital’s Cardiology team to determine if an abnormal heart rhythm is the underlying cause of signs seen at home. 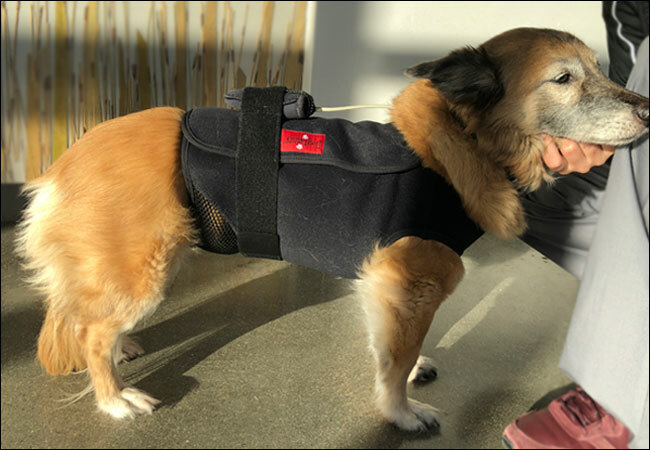 The vests protect the monitoring device while pets go about their daily activities. 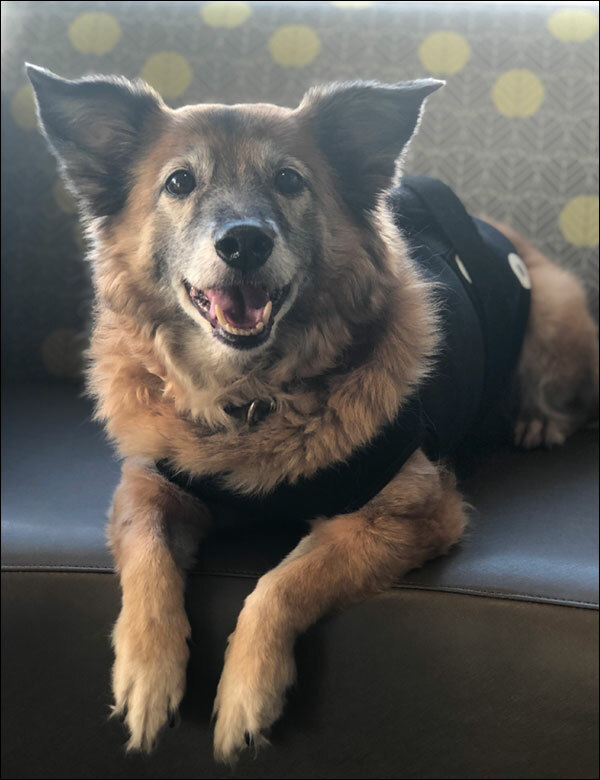 If your pet’s cardiologist recommends a Holter monitor, your pet can also strut their stuff for a day in their very own form fitting black vest. 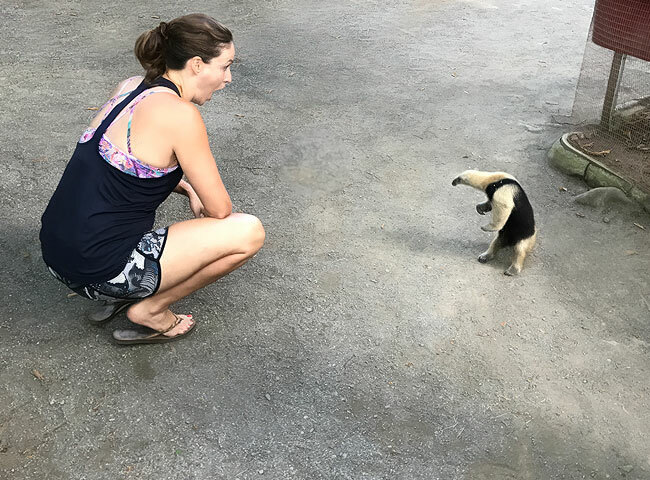 Tails from the road – Doctor Edition! 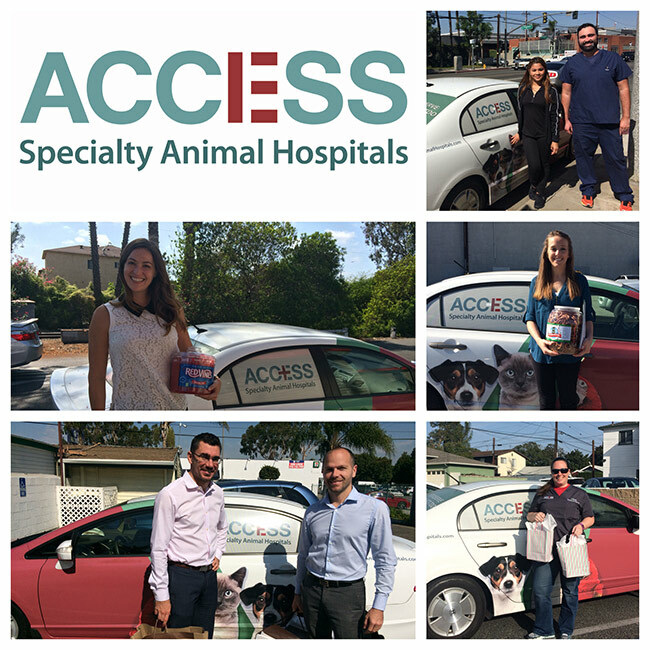 We love it when our specialists take the time to visit local primary veterinary hospitals. 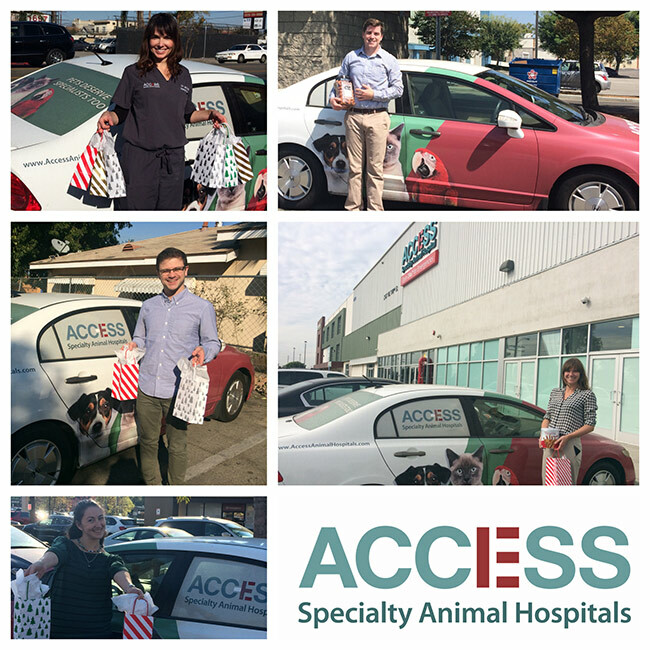 Whether it’s because our doctors are new to ACCESS, are bringing holiday cheer, or simply want to check-in and say hello, you never know where and when you might spot them on the road! Flower is a young, cuddly rescue cat who was hospitalized at ACCESS Specialty Animal Hospital – South Bay for intensive care for treatment of upper respiratory issues including sneezing, nasal discharge, and anorexia from severe ulcerations on her tongue. The ulcers were caused by a calicivirus (ka-lee-see virus) infection which is common in the upper respiratory disease complex of cats. Unlike the Mother of Dragons, this calici is a nasty infection affecting only cats. The ulcers caused such severe pain in poor Flower’s mouth that she would drool profusely, refusing to eat anything offered. We also tried to feed her with a syringe, which means her food was liquefied and then gently squirted into her mouth, which was also a very negative experience. Needing to find a way to treat Flower, she had a feeding tube placed in her esophagus to help make sure she was getting all of the food and water she needed. The feeding tube also helps with giving medications that would normally be given orally. This way, our team can make sure Flower gets everything she needs to get better without struggling to swallow. 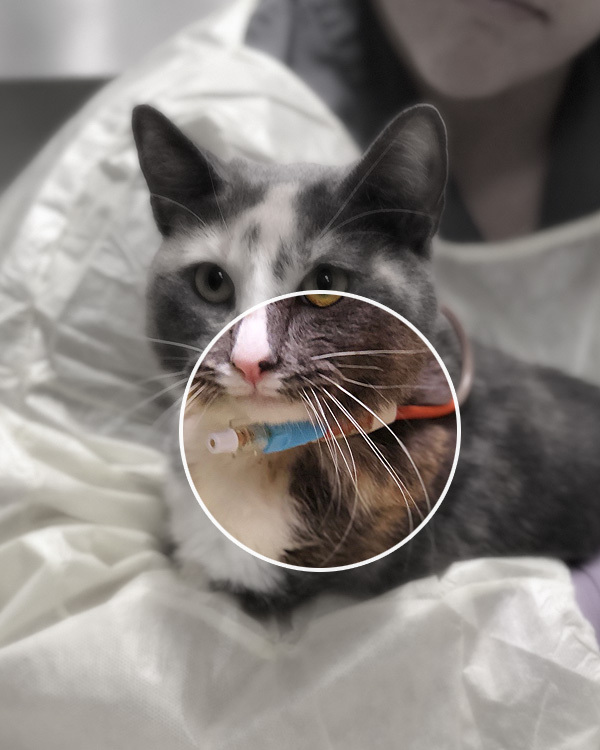 There are several types of feeding tubes, but to insert this specific feeding tube, also known as an E-tube, Flower was placed under anesthesia so she wouldn’t feel a thing. 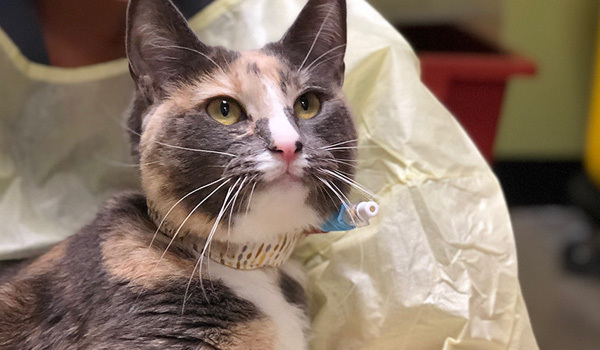 Next, her doctor made a small incision and placed the feeding tube in her esophagus with part of it exposed so that medical staff can complete treatments and feed her. Feeding tubes are typically temporary and are kept clean with a fashionable cloth collar to protect the incision site. 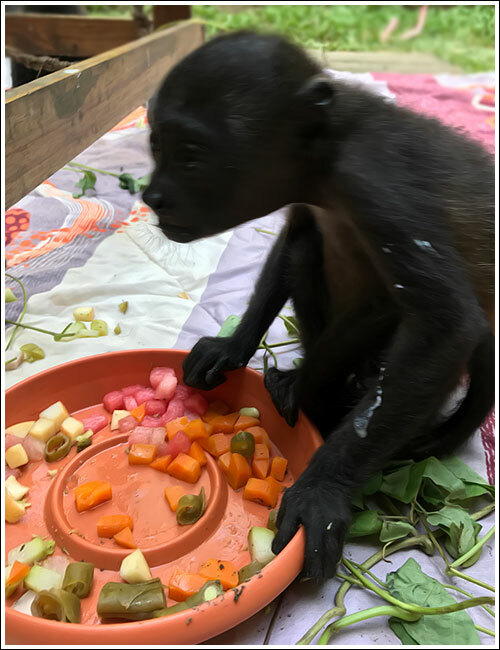 The recovery from Flower’s infection took several weeks, but after three weeks of care, she began to eat on her own again! Once she was eating on her own regularly, the feeding tube was removed and she was ready to leave the hospital. If you are interested in fostering or adopting this precious little girl, please contact the Stray Cat Alliance Rescue of Los Angeles. Take a 360° tour of ACCESS – South Bay.